Shopping for Harry Potter Scarves? Show your school-- and house-- spirit. Order your Harry Potter Gryffindor Scarf! Go, go, Gryffindor! The esteemed house of Godric Gryffindor values courage and chivalry above all else. 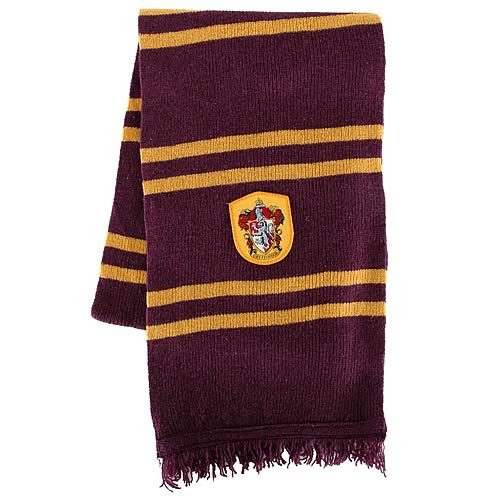 Now you can show your school-- and house-- spirit with this 75-inch lamb's wool Harry Potter Gryffindor Scarf!